You must be at least 15 years old to work as a volunteer. 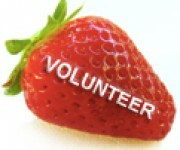 This ticket is for volunteers who will work full time (8-9 shifts) at the Fresh Food Festival 2019 and it includes food and accommodation. 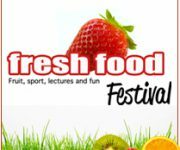 This ticket is for volunteers who will work part time (4-5 shifts) at the Fresh Food Festival 2019 and it includes food and accommodation. If for any reason you need to cancel your registration for the festival we will give you a full refund minus a 500 CZK (20 Euro) administration fee per person. (The price will go up to 900 CZK (35 Euro) if you cancel later than 1 month before the festival). Children under the age of 4 are not charged an administration fee for cancelling. This is a ticket for special prices and circumstances with variable prices plus testing the payment system. Do not use this unless you have spoken with the organizers first.